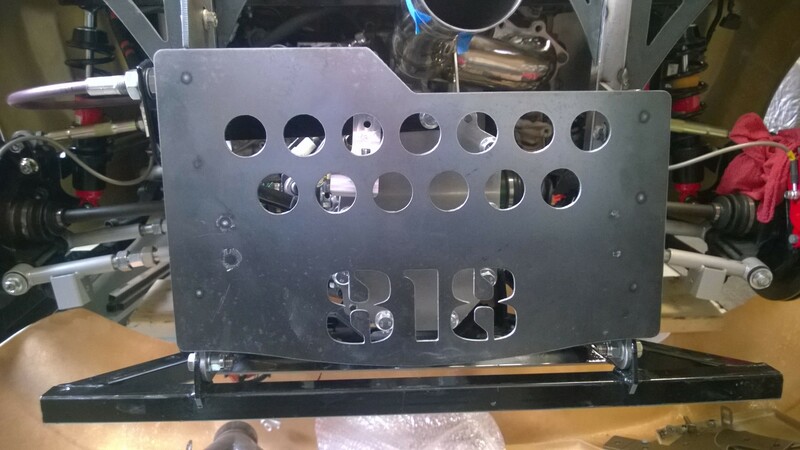 This kit includes everything in the 818 Wing Mount Kit and in addition includes a solid structure to protect your shift linkage from damage while trading paint with fellow racers on the track. 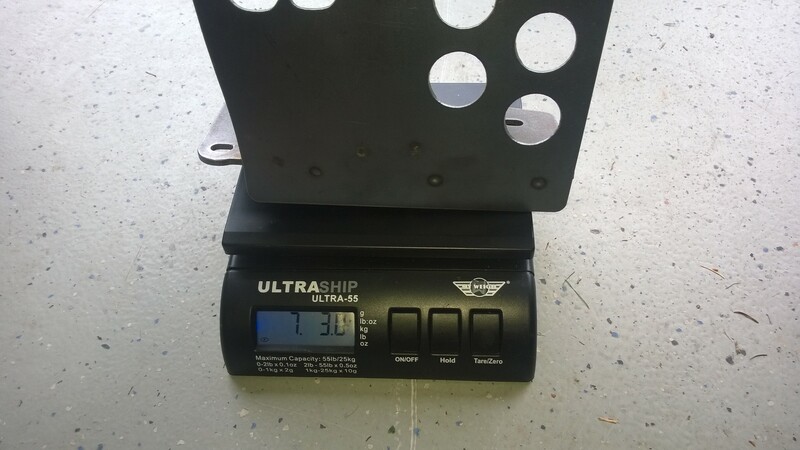 This kit attaches to the existing lower mounting chassis tabs included in the Wing Mount Kit and includes mounting tabs for the upper portion of the structure, the steel uprights and the 14ga steel plate. 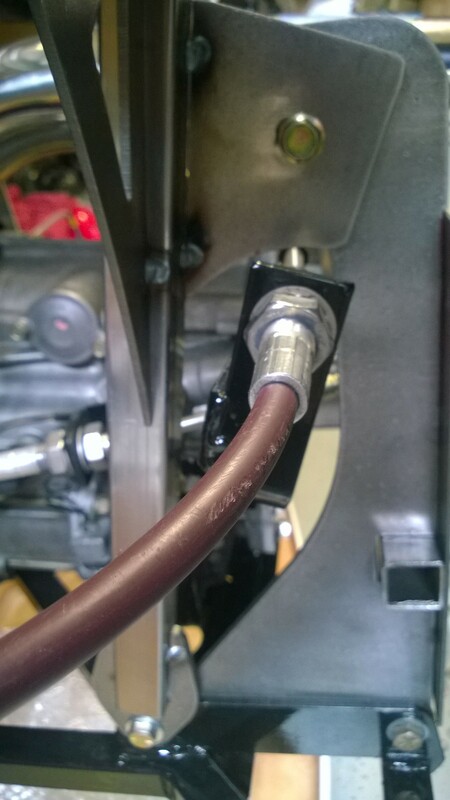 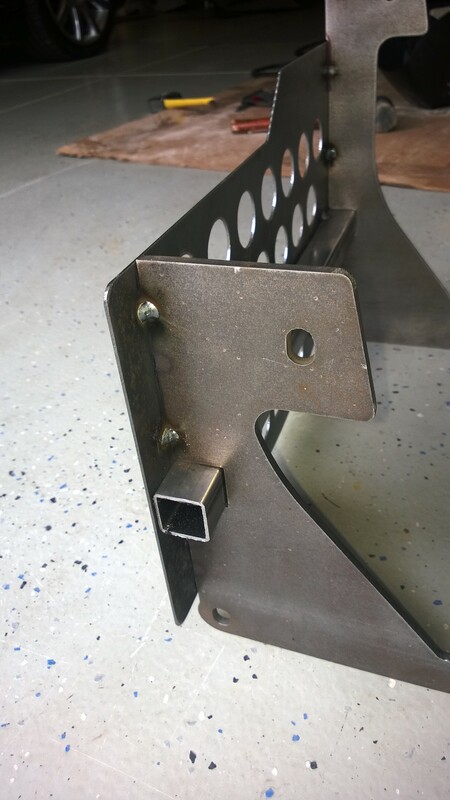 You will also need a short length of 1×1 steel tubing (not included) that spans between the uprights and reinforces the plate. 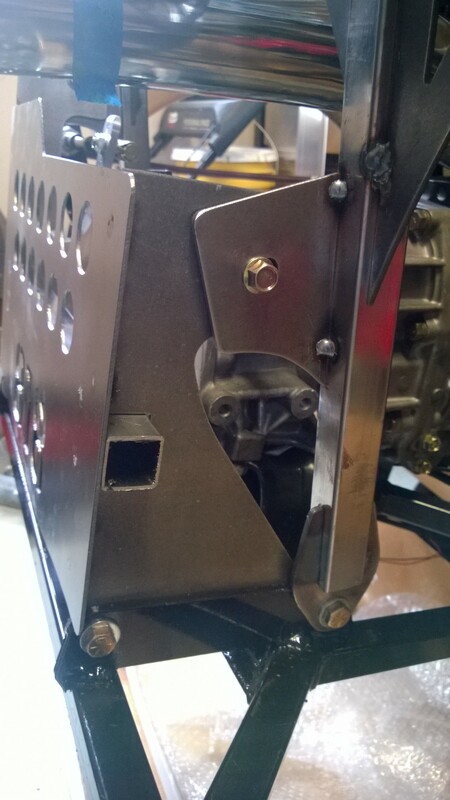 This kit requires welding to assemble, which can be done at the same time that the Wing Mount Kit is being assembled and welded. 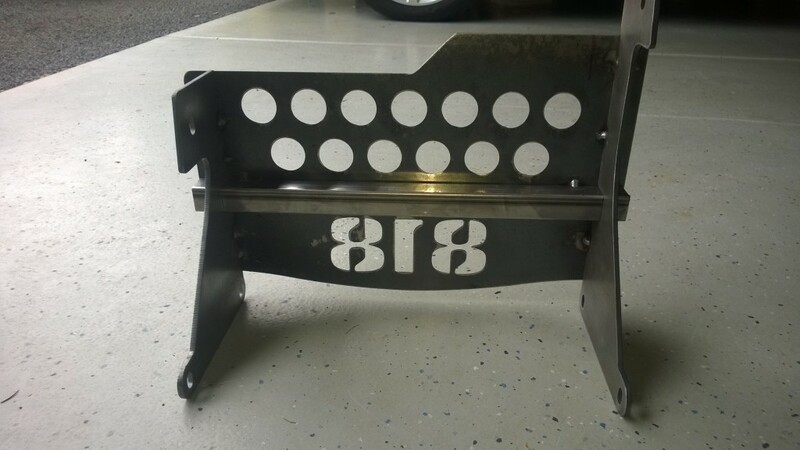 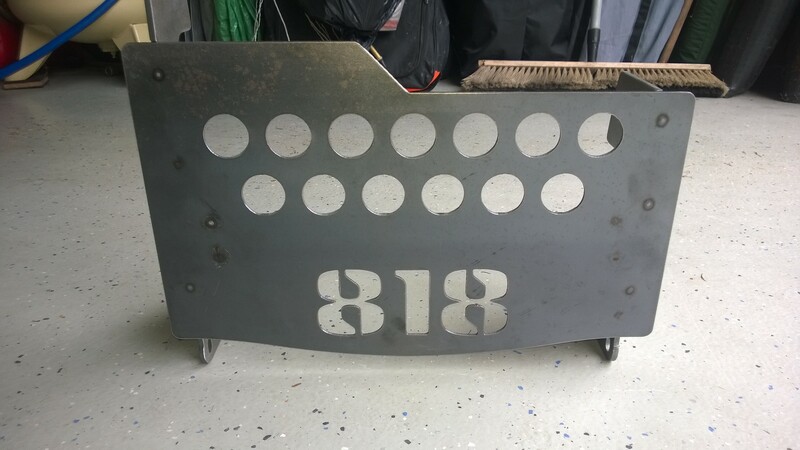 Please note that the upper tabs in the photos are welded on upside down.